This study examined the association between job characteristics, namely job demands and job resources, and mental health outcomes in terms of emotional exhaustion and well-being among police officers. Eight hundred forty-three German police officers participated in a cross-sectional online survey. Structural equation modeling was used to examine the validity of the dual process model of the Job Demands-Resources (JD-R) framework in the context of police work. Job demands (verbal assaults by citizens, workload, and administrative stressors) predicted emotional exhaustion whereas job resources (team support, shared values, and perceived fairness) predicted well-being. Moreover, job resources were directly and negatively associated with emotional exhaustion. The findings confirm the capacity of job resources to simultaneously promote well-being and reduce emotional exhaustion. Work place interventions should thus not merely decrease job demands. To improve and protect police officers’ well-being, it is advisable to promote job resources. A supportive and fair organizational climate based on shared values is required to foster mental health in the context of police work. Recent years’ research on occupational health has consistently shown that job characteristics affect employees’ well-being (e.g., Bakker and Demerouti 2014). While job demands like work overload, time pressure, and emotional demands are associated with reduced well-being, job resources such as social support, procedural fairness, and trust in management have a positive effect on well-being (Schaufeli and Taris 2014). From a resource-oriented perspective, it is of topmost importance to identify job resources—while reducing job demands at the same time—in order to promote occupational health and well-being. A theoretical framework combining both job demands and job resources as well as their relationship with work-related well-being is the Job Demands-Resources model (JD-R model; Bakker and Demerouti 2007; Demerouti et al. 2001; Schaufeli and Taris 2014). Most studies using the JD-R framework focus on burnout and work engagement as outcomes representing employee well-being (Bakker and Demerouti 2007). Studies on different organizational (e.g., organizational commitment, turnover intention) or individual outcomes (e.g., health) consider work engagement and burnout to be mediators, as suggested by the JD-R framework. Meanwhile, direct effects of job characteristics on health outcomes have not yet been thoroughly studied (Brauchli et al. 2015). Police officers represent an employee group that is especially vulnerable to workplace stress due to high job demands (Violanti et al. 2006). Since police work is considered a particular stressful occupation (Liberman et al. 2002; Webster 2013), police officers are regarded as being at high risk for reduced well-being in terms of mental health problems (van der Velden et al. 2013) and burnout (Backteman-Erlanson et al. 2013; Burke and Mikkelsen 2006). Job demands and job resources of police officers have already been studied within the JD-R framework. However, most studies have taken a deficit-oriented perspective by focusing on ill mental or physical health, and burnout (Baka 2015; Martinussen et al. 2007). To our knowledge, no studies in the context of police work have taken a resource-oriented approach by focusing on both the positive health impact of job resources and their direct mitigating effect on adverse health outcomes. In addition, little is known about police officers’ mental well-being and the predictive value of job resources and job demands for it. Therefore, we tested to what extent job resources promote police officers’ well-being. Simultaneously, we examined the protective direct impact of job resources on emotional exhaustion. The aim of this research is to derive interventions that promote the well-being of policewomen and policemen by identifying predictors of well-being, namely specific job resources. Since emotional exhaustion serves as an indicator of reduced well-being, its relationship with job demands and job resources is also considered in the present study. The JD-R framework (Bakker and Demerouti 2007; Demerouti et al. 2001; Fig. 1) has gained increasing popularity among researchers in occupational and organizational psychology over the past decade. The core assumption of the model posits that job characteristics can be classified as either job demands or job resources (Bakker and Demerouti 2007). Job demands (e.g., high workload, demanding interactions with clients or customers) refer to those physical, psychological, social, or organizational aspects of the job that require sustained physical and/or psychological effort and are thus associated with physiological and/or psychological costs like ill health and burnout (Demerouti et al. 2001). As such, job demands are the most important predictors of emotional exhaustion, which is the central dimension of the burnout syndrome defined as extreme fatigue (Demerouti et al. 2003). On the other hand, job resources (e.g., procedural fairness, social support from colleagues/supervisors, team cohesion) have been defined as those physical, mental, social, or organizational job characteristics that are functional in attaining work goals, support in reducing job demands and associated physiological and/or psychological costs, and stimulate personal growth and development (Bakker and Demerouti 2007; Demerouti et al. 2001). Accordingly, job resources are the most important predictors of motivation and work engagement, i.e., work-related well-being (Bakker et al. 2007). All job characteristics can be modeled as either job demands or job resources in all kinds of working environments (Bakker and Demerouti 2014). This flexibility makes the JD-R framework both unique and popular. The JD-R framework further assumes that job demands and job resources trigger two relatively independent processes, a health impairment process and a motivational process (Bakker and Demerouti 2007). While the health impairment process consists of job demands as the most important predictors of outcomes like strain, emotional exhaustion, and health problems, the motivational process describes job resources as crucial predictors of motivation or work engagement (Bakker and Demerouti 2007). Furthermore, the JD-R framework posits a direct link between job resources and burnout, but no (or merely a weak) relation between job demands and work engagement (Schaufeli and Taris 2014). This study focuses on the motivational or health-promoting path without neglecting the health impairment process. Job demands and emotional exhaustion as the central burnout component are taken into consideration, too. Through modeling the dual process model inherent in the JD-R framework, the aim is to identify the specific role of job resources in police officers’ well-being within that framework. In our study, well-being is operationalized as mental well-being in general, thus indicating a direct health outcome and not work-related well-being in terms of work engagement (Sonnentag 2015). Thus, we are interested in the direct relationship between job characteristics, namely job demands and job resources, and well-being in terms of mental health in addition to emotional exhaustion in a sample of German police officers. Empirically, the assumptions of the JD-R framework have been tested and approved across different occupational groups in cross-sectional as well as longitudinal research designs (Schaufeli and Taris 2014). To date, research on job demands and job resources in the police context has mainly focused on burnout as the outcome (Burke and Mikkelsen 2006; Martinussen et al. 2007; Van den Broeck et al. 2010) or burnout as a mediator between job characteristics and individual health or organizational outcomes (Baka 2015; Hu et al. 2016; Martinussen et al. 2007). Fewer studies have taken the motivational process into account predicting work-related well-being (Hu et al. 2016; Van den Broeck et al. 2010); no research is known that has studied other general well-being outcomes applying the JD-R framework. In terms of job demands in the context of police work, Baka (2015) identified interpersonal conflicts at work, organizational constraints, and quantitative workload as relevant stressors and strains showing direct as well as indirect effects (via burnout) on mental as well as physical health. Other studies also identified positive associations of workload and burnout (Hu et al. 2016) or exhaustion (Van den Broeck et al. 2010). In studies beyond the JD-R framework, organizational stressors rather than operational stressors have emerged as most significant for police officers (Bishop et al. 2007; Brown and Campbell 1990; Shane 2010; Stinchcomb 2004) showing positive relationships with psychological ill-health (e.g., Bishop et al. 2007). Workload was found to be a major organizational stressor in two different samples of British police officers showing strong associations with mental ill-health (Collins and Gibbs 2003) and a negative relation with well-being (Juniper et al. 2010). Further organizational job demands linked to reduced well-being are poor communication (Brown and Campbell 1990; Collins and Gibbs 2003; van der Velden et al. 2010) and lack of control and autonomy (Collins and Gibbs 2003; Larsson et al. 2016). Nevertheless, operational stressors are also significantly associated with mental health problems and poor well-being. Verbal threats or aggression from the public (citizens) were also found to be associated with mental ill-health in police officers (Collins and Gibbs 2003; van der Velden et al. 2010). Job resources that have been proven relevant in police work within the JD-R framework are social support by supervisors or colleagues (Hu et al. 2016; Van den Broeck et al. 2010), job control (Hu et al. 2016), and autonomy (Van den Broeck et al. 2010). This supports the notion that the motivational process promotes work-related well-being and shows negative relations with either burnout (Hu et al. 2016; Martinussen et al. 2007) or emotional exhaustion as a single indicator of burnout (Van den Broeck et al. 2010). In a study based on the job demand-control-support model (Karasek and Theorell 1990), control and support were positively related to well-being (Wang and Leather 2016). Hansson et al. (2017) found social support allaying job strains’ negative impacts on mental health in a sample of police officers. 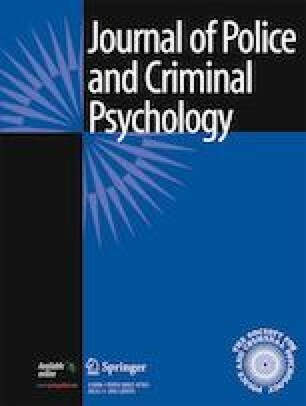 Other researchers report a fair organizational climate in terms of procedural justice within the police department (concerning supervisors, coworkers, and policies) to have a significant indirect effect on officer well-being via decreased maladaptive behavior and higher self-legitimacy (Trinkner et al. 2016). Apart from work engagement, positive well-being outcomes having been studied in police officers are job satisfaction (Brough 2005; Burke and Paton 2006) and quality of life indicators such as life satisfaction and positive affect (Hart et al. 1993, 1994). No study is known that has focused on general well-being as the positive dimension of mental health. Hypothesis 1: Workload, verbal assaults by citizens, and administrative stressors as job demands are positively related to emotional exhaustion. Hypothesis 2: Team support, shared values, and perceived fairness as job resources are positively related to well-being. Hypothesis 3: Job resources are directly and negatively related to emotional exhaustion. The study was part of a health monitoring program in a German police department. In total, 1857 e-mail invitations were sent to police officers for an online survey via their working e-mail address. Officers out of office during the survey received a paper-pencil version of the questionnaire at their home address. The survey was completed by 941 police officers resulting in a response rate of 50.7%. In the present study, only police officers working with citizens were included in the data analysis since verbal assaults by citizens were one operationalization of job demands. Thus, the final sample consisted of N = 843 police officers, most of whom were male (n = 609; 72.2%) and 234 (27.8%) were female. Their mean age was 40.9 years (SD = 9.04), and their mean tenure within the police force was 19.78 years (SD = 10.12) ranging from 1 to 43 years. Most officers worked full time (n = 793, 94.1%) and held a non-leadership position (n = 661, 78.5%). More than half of the participants worked primarily in field service (65.2%) while 34.8% of the police officers did mainly office work. We assessed job demands by workload, verbal assaults by citizens while being on duty, and administrative stressors. Workload was measured by the three-item Effort scale taken from the short version of the Effort-Reward Imbalance (ERI) Questionnaire (Siegrist 2012). Items were scored on a 4-point scale ranging from 1 (I don’t agree at all) to 4 (I totally agree). An example item is “I have constant time pressure due to a heavy work load.” Cronbach’s alpha was 0.73 in the current study. Verbal assaults by citizens like verbal threats, insults, and abuses police officers had experienced within the last 12 months were assessed with a three-item measure on a 9-point scale (Bosold et al. 2002). Response categories ranged from 1 (never) to 9 (several times per day). A sample item is “In the last 12 months citizens verbally threatened me.” In our study, Cronbach’s alpha was 0.96. Administrative stressors were measured with three items adapted by Beerlage et al. (2008) based on an original measure by Kleiber et al. (1992). The items were scored on a 5-point scale ranging from 1 (never) to 5 (always). A sample item is “I had to make decisions without having all necessary information available.” Here, Cronbach’s alpha was 0.62. Job resources were operationalized as team support, shared values, and perceived fairness within the police department. All three scales were applied in an adapted German version by Beerlage et al. (2007) based on the Organizational Check-up Survey (OCS; Leiter and Maslach 2000). Response categories for all items ranged from 1 (I don’t agree at all) to 5 (I totally agree). Team support was measured with four items. An example item is “The colleagues in my team support each other.” Cronbach’s alpha was 0.84 in the current study. For shared values, four items were applied, e.g., “I identify with the values of the police department.” Cronbach’s alpha for this scale was 0.75. Perceived fairness was assessed by three items, e.g., “In my police department resources are allocated justly.” Cronbach’s alpha was 0.67 in our study. Emotional exhaustion was assessed using an adapted version of the Maslach Burnout Inventory Human Services Survey (MBI-HSS; Maslach et al. 1996) by Bosold et al. (2002). The four items were scored on a 7-point rating scale ranging from 1 (never) to 7 (always). A sample item is “I feel exhausted due to my work.” Here, Cronbach’s alpha was 0.85. Well-being was measured by the WHO-5 well-being index (Brähler et al. 2007). The respondents were asked to rate their well-being within the last 2 weeks on a 6-point scale ranging from 1 (never) to 6 (all the time). A sample item is “In the last two weeks I was glad and in good mood.” Cronbach’s alpha for the well-being scale was 0.90 in this study. Taken together, all scales had a Cronbach’s alpha of over 0.70 except for administrative stressors (0.62) and perceived fairness (0.67). However, since those scales were measured with three items only, their reliability coefficients can still be regarded as acceptable (Furr and Bacharach 2008). To test our hypotheses, we performed structural equation modeling (SEM) using Mplus version 7.4 (Muthen and Muthen 2014). Due to the non-normality of the study variables and a sufficiently large sample size of N ≥ 400 (Boomsma and Hoogland 2001), robust maximum likelihood estimation (MLR) was used for all model estimations. The models’ goodness of fit was assessed by chi-square test statistic, root mean square error of approximation (RMSEA), standardized root mean square residual (SRMR), Tucker-Lewis Index (TLI), and Comparative Fit Index (CFI) as recommended by Hu and Bentler (1998). A non-significant chi-square indicates good model fit. Since chi-square is sensitive to sample size, fit indices less sensitive to the number of observations were evaluated, too. A RMSEA value of less than 0.06 and a SRMR value of 0.08 or lower indicate good model fit (Hu and Bentler 1999). For TLI and CFI, values of 0.95 may be interpreted as an acceptable fit, while 0.97 is indicative of a good model fit (Schermelleh-Engel and Moosbrugger 2003). Means, standard deviations, and correlations of study variables are reported in Table 1. Hypotheses 1 to 3 were tested based on the model in Fig. 1. The measurement models of the latent constructs were specified and tested prior to model testing. For job demands workload, verbal assaults by citizens and administrative stressors were used as latent indicators basing on the manifest variables represented in Table 2. The measurement model for job demands showed excellent fit, χ2(24) = 41.434, p < 0.05; RMSEA = 0.03; SRMR = 0.03; TLI = 0.99; CFI = 1.00. Team support, shared values, and perceived fairness served as indicators for job resources, based on manifest variables, too (Table 2), showing a very good fit of the measurement model as well, χ2(41) = 73.400, p < 0.01; RMSEA = 0.03; SRMR = 0.03; TLI = 0.98; CFI = 0.99. The measurement model specifying well-being and emotional exhaustion demonstrated an acceptable fit, χ2(26) = 147.067, p < 0.001; RMSEA = 0.07; SRMR = 0.04; TLI = 0.95; CFI = 0.96. The overall measurement model showed a very good fit to the data, χ2(365) = 833.627, p < 0.001; RMSEA = 0.04; SRMR = 0.05; TLI = 0.96; CFI = 0.95. All items loaded solidly on their respective factors (0.56 ≤ β ≤ 0.97, p < 0.001). Next, the structural model with direct effects of job demands on emotional exhaustion and job resources on well-being presented in Fig. 1 was tested (this will be referred to as the baseline model since the direct path from job resources to emotional exhaustion was not considered, yet). The model showed good fit to the data, χ2(367) = 839.005, p < 0.001; RMSEA = 0.04; SRMR = 0.05; TLI = 0.95; CFI = 0.96. According to hypothesis 1, job demands strongly predicted emotional exhaustion (β = 0.64, p < 0.001) with administrative stressors yielding the highest predictive value (β = 0.87, p < 0.001) for job demands. In line with hypothesis 2, job resources were positively related to well-being (β = 0.49, p < 0.001) whereby shared values (β = 0.84, p < 0.001) and perceived fairness (β = 0.85, p < 0.001) served as strong predictors for the latent construct of job resources. Thus, hypotheses 1 and 2 were supported. Finally, hypothesis 3 stated that job resources would have a direct negative relation with emotional exhaustion. Accordingly, the direct path of job resources on emotional exhaustion was included in the model, proving a single distinct effect for job resources on emotional exhaustion (β = − 0.20, p < 0.05) and showing good fit indices for that model, χ2(366) = 834.220, p < 0.001; RMSEA = 0.04; SRMR = 0.05; TLI = 0.95; CFI = 0.96. We applied chi-square difference testing to determine whether the model including the direct path from job resources to emotional exhaustion fitted the data better than the baseline model not including that path. Since the MLR estimator was used, the chi-square difference test for the nested model was conducted by taking the scaling correction factors into account for both models. The result showed a significant change in the model fit in support of the more elaborated model including the additional path from job resources to emotional exhaustion, Δχ2 = 4.45, Δdf = 1, p < 0.05. The final model is depicted in Fig. 3. The aim of this paper was to investigate the relationship between police officers’ well-being and emotional exhaustion and their job demands and job resources. Taking a resource-oriented perspective, we focused on the specific role of job resources, precisely team support, shared values, and perceived fairness, and their predictive value concerning general well-being. Additionally, by also taking into account the health impairing process, we intended to test the dual process model inherent in the JD-R framework as a whole including job resources’ direct effect on emotional exhaustion. In line with hypothesis 1, police officers’ job demands were positively associated with emotional exhaustion, thereby confirming the JD-R’s health impairment process and previous research in police contexts, indicating that job demands are related to emotional exhaustion (Hall et al. 2010; Hu et al. 2016; Martinussen et al. 2007; Van den Broeck et al. 2010). Furthermore, administrative stressors (e.g., lack of information or working materials) were the strongest indicators for job demands. This result is in line with previous findings stating that organizational stressors are most important in police contexts (Shane 2010; Stinchcomb 2004; Collins and Gibbs 2003; Juniper et al. 2010). Still, workload and verbal assaults by citizens constituted job demands as well, the latter representing an operational stressor, which is congruent with previous research (e.g., Collins and Gibbs 2003; van der Velden et al. 2010). As expected in hypothesis 2, job resources predicted general well-being indicating a clear mental health-promoting impact, with perceived fairness and shared values having the strongest effect. This confirms the beneficial role of team support found in earlier studies on police work (Hansson et al. 2017; Hu et al. 2016; Van den Broeck et al. 2010). Regarding perceived fairness, positive associations with officer well-being have also been described recently by Trinkner et al. (2016), referring to underlying mechanisms of a procedurally fair organizational climate. The authors argue that a fair climate promotes officers’ well-being indirectly via less maladaptive behavior and its associations with perceptions of organizational legitimacy of their authority. For further understanding, these mechanisms should be the subject of future research. To date, shared values (e.g., “I identify with the values of the police department.”) have not been studied as a health-promoting resource in police work, yet. Our results strongly indicate that this is a meaningful and important aspect affecting police officers’ well-being. An explanatory approach could be that individuals tend to adopt an organization’s values and goals as their own when identifying strongly with that organization (Barbier et al. 2013) and so do police officers with respect to their police department’s values and goals. This identification subsequently leads to increased motivation to achieve these goals and higher self-esteem (Edwards and Peccei 2007), thus work-related well-being. Accordingly, organizational identification and shared values are important job resources predicting not only well-being at work (Barbier et al. 2013) but also levels of general well-being in the group of police officers. In line with hypothesis 3, job resources were directly negatively related to emotional exhaustion. Resources protected police officers’ well-being. This direct effect of job resources on emotional exhaustion has been observed before in police contexts (Hu et al. 2016; Martinussen et al. 2007; Van den Broeck et al. 2010). The results of the present study emphasize that job resources other than those previously tested—e.g., social support, job control, or autonomy—are capable of guarding police officers against emotional exhaustion. The findings concerning team support are in line with earlier studies (e.g., Hu et al. 2016; Martinussen et al. 2007) showing that social resources help in coping with job demands and thereby reduce emotional exhaustion (McCreary and Thompson 2006). The protective impact of shared values and perceived fairness had not previously been tested. Underlying mechanisms may be similar to those described above with regard to well-being. As argued by Trinkner et al. (2016), a fair climate promotes officers’ well-being—it might similarly contribute to reduced emotional exhaustion. With regard to shared values, Barbier et al. (2013) discussed the identification with an organization as related to well-being. Shared values may thus be capable to mitigate emotional exhaustion as well. Further research is needed to study the value of those job resources as well as other resources in the police context. Also, job resources have been observed to buffer job demand-induced emotional exhaustion or burnout in previous studies on police officers (Hansson et al. 2017) as well as other populations (Bakker et al. 2005; Xanthopoulou et al. 2007). This adds weight to the JD-R assumption that job demands and job resources may also interact in the prediction of (occupational) well-being (Bakker and Demerouti 2014). As such, job resources are able to buffer the impact of job demands on negative health outcomes making it easier for employees to deal with job demands like work pressure or emotional demands (Bakker and Demerouti 2014). Obviously, job resources work differently depending on whether they moderate or directly affect emotional exhaustion or burnout, and depending on the job demands looked at. The distinct roles of job resources should be addressed in future research as well. Still, the direct relation of job resources and emotional exhaustion is also in line with theoretical assumptions of the JD-R framework (Schaufeli and Taris 2014). Since we substituted work engagement, understood as work related well-being and originally part of the JD-R framework (Schaufeli and Taris 2014), with general well-being in terms of a direct health outcome in this study, our model should be tested again with measures of work engagement. Nevertheless, the present study underpins the dual process model in which the health impairment and motivational or health-promoting process are seen as two distinct and independent processes. Job resources are thus capable to reduce emotional exhaustion and promote well-being simultaneously, placing an invaluable potential upon them. There are some study limitations that should be noted. First, the use of cross-sectional data does not allow causal inferences concerning the direction of relations between job characteristics and measures of well-being and emotional exhaustion. Longitudinal research designs are necessary to demonstrate causal relationships between job demands, job resources, and well-being outcomes in police work. Although cross-sectional in nature, our study has contributed to the understanding of job demands, job resources, well-being, and emotional exhaustion in police officers, since not many studies in the context of police work have applied the JD-R framework, yet. On a related note, cross-sectional research designs tend to overestimate interrelationships between study variables, a limitation that should be considered as well. Nevertheless, the JD-R framework has been proven empirically and in longitudinal study designs; thus, it is well-established. That is why we are confident to assume that the structural model is likely to be valid. Additionally, the current data rely solely on self-report measures increasing the problem of common method variance and overestimation of observed effects. Although we obtained an adequate response rate (50.7%) in the online survey, it is conceivable that our results may be biased by non-participation. If those police officers who did not respond were too stressed or dissatisfied in general that they could not be bothered taking part in the health monitoring survey, the refusal of participation was not randomly distributed. Studies addressing response rate biases revealed responders being slightly healthier compared to non-responders in large, population-based health surveys. However, these studies also showed that the differences’ impact on prevalence rates is rather small eventuating in results being relatively unbiased even in studies with only moderate response rates (Søgaard et al. 2004; Vink et al. 2004). Furthermore, the reliability coefficients of two scales, administrative stressors (0.62) and perceived fairness (0.67) should be re-examined. However, as mentioned above, the scales consisted of three items only. This is why these reliability coefficients can still be seen as acceptable (Furr and Bacharach 2008). Lastly, though feeling confident that we selected those job demands and job resources that are of central importance in the context of police work, there may be further job demands and job resources that are relevant in police contexts though not taken into consideration in the present study. This comes at the cost of limited generalizability of the study’s findings to the whole field of police work. Since the JD-R framework is characterized by its flexibility in operationalizing all kinds of job demands and job resources specific to a certain job environment, this is nonetheless considered a strength of the applied theoretical framework within our study. This study has emphasized the distinct role of job resources concerning their impact in reducing emotional exhaustion and promoting well-being at the same time. That is why it seems more than ever advisable to take a resource-oriented perspective and, besides reducing job demands, focus on the promotion of job resources wherever possible. Thus, workplace interventions in police contexts should focus on both reducing job demands (e.g., recruitment of more staff, improved work organization) and promoting job resources in order to support police officers well-being. In the context of police work, especially, a fair and supportive organizational climate based on shared values could contribute to the promotion of health and well-being while reducing emotional exhaustion at the same time. Relevant aspects concerning organizational fairness are for example managerial transparency in general and with regard to promotions in particular or fair allocation of resources. Police officers’ identification with shared values on one and team support on the other hand could be achieved by means of team building activities fostering trust and mutual understanding. This would also serve to challenge decision-makers at the managerial level with regard to treating their employees fairly and keeping together their team. Officers in leadership positions should thus be supported as well through supervision or leadership workshops in order to raise awareness for their own leadership role. This research was funded by the Berlin Police, Germany. The funding source supported the collection of the data by addressing potential participants. The research project was approved by the local ethics committee of Freie Universität Berlin as well as relevant committees of the Berlin Police (staff council, gender equality officer, severely handicapped employee representative) and is in accordance to APA ethical standards. All participants were informed that participation in the health monitoring survey was voluntarily and anonymously, that all data was kept externally at Freie Universität Berlin, and that all data was edited, analyzed, and represented anonymized and thus no inferences about single participants could be drawn from the data. Participants could discontinue the questionnaire before completion at any point of time. The Berlin Police had no further involvement with regard to study design, analysis or interpretation of the data, writing process, or submission of the article.